Thick, rich and savory sauce – thanks to mushrooms not meat – Slow Cooker Mushroom Bolognese! This doesn’t sound like your typical food writer but it’s the Twitter description of Kellie Hynes, a columnist for Sauce Magazine. Her stories of adventure and misadventure in the kitchen leave me hungry for more. As I read her column, I take a seat as a ‘fly on the wall’ to watch and learn how somewhat magical dishes emerge from her kitchen. 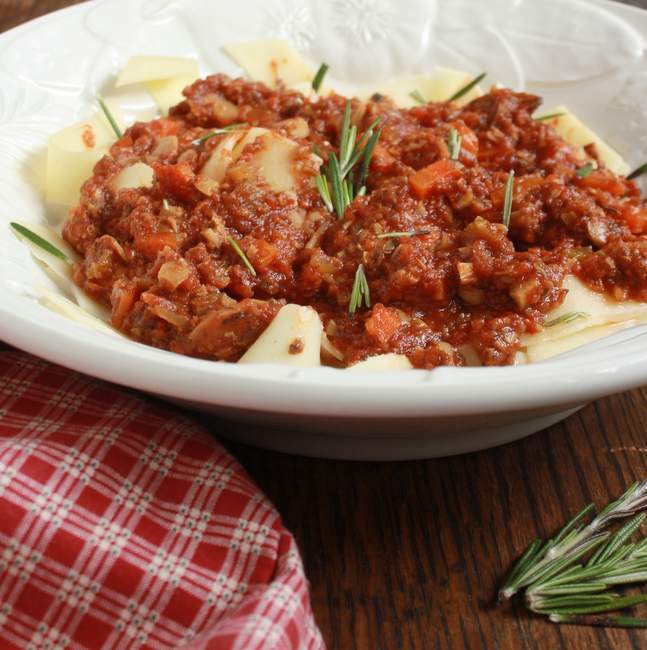 This Slow Cooker Mushroom Bolognese is inspired by that kitchen. I want to try out every one of Kellie’s recipes – and it’s saying a lot; because everything Kellie cooks is vegan. Yup, vegan. On the other hand, I grew up on a cattle ranch in Montana. Bacon, cheese and eggs are always in my fridge. When I saw her recipe for Pappardelle with Bolognese, I knew I had to immediately start up my slow cooker. Now, her version was not of the slow cooker variety but I didn’t have the time or patience for the stove work. 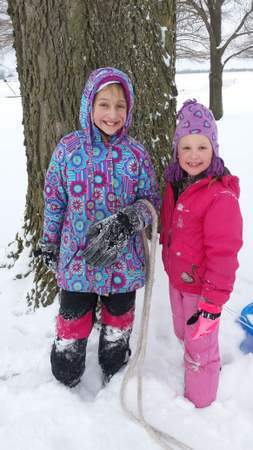 In all this snow…there was sledding to be done, after all. Oh, man…after 4 hours in the slow cooker, when I lifted the lid, I seriously did a double-take. I could’ve sworn there was meat in that crock. It was amazing how the mushrooms had morphed into a thick, even meaty-looking sauce. The taste was soooo rich and savory – and the hearty ‘gravy’ just clung to every strand of thick pasta. Once again, my vegan friend (I can call her a pal – as I recently met her at a St. Louis blogger event) and “disastrous home cook” created a bit more magic in her kitchen. And thanks to her inspiration, my slow cooker did too. Loads of savory flavor comes from mushrooms – not meat – in this hearty sauce. Vegetariavegan-friendlyendly. Heat the oil in a large saute pan over medium-high heat. Add the garlic, carrots, celery and onions. Sprinkle with salt and pepper and cook about 3 minutes. Add the tomato paste, rosemary, nutmeg, and crushed pepper: continue cooking until the vegetables have softened and started to brown, about 2 minutes. Deglaze with the wine and balsamic vinegar, pulling up any bits from the bottom of the pan while stirring with wooden spoon. Carefully transfer to the slow cooker. Stir in tomatoes and sugar. Stir the mushrooms into the slow cooker. Cover and cook on high for 4 to 6 hours or on low 8 to 10 hours. Have you ever made the classic meat-filled Italian slow-cooked sauce? It’s surprisingly rich Dixya…wine helps. So does the caramelized tomato paste – my newest trick for amped up taste and unami! I can’t commit to being vegan but I sure do LOVE vegetarian meals and I adore mushrooms. Pinning this and putting it on next weeks menu. Now I’m off to check out Kellie’s blog. Ha! Agree…we love our veggie…and bacon Gwen! One note: Kellie does not have a blog…but she does have a fab monthly column “Vegetize It” in Sauce Magazine…and several awards for her food writing! Here’s the link Thanks visiting! You are so right Allie! All those Italian herbs, garlic, onion, and tomato simmer into something sumptuous in the slow cooker! This recipe is no exception! OMG, thank you! This is the nicest thing anyone has ever written about me! I have to tell you, today is “recipe development day”, and I’m living up to my disastrous description. So big hugs to you! Using a slow cooker with this meal is brilliant. I heart my slow cooker. Mushrooms are my dream ingredient – ubiquitous, inexpensive, and they look like hamburger if you chop ’em up and squint real hard. The tomato paste trick is a great one. 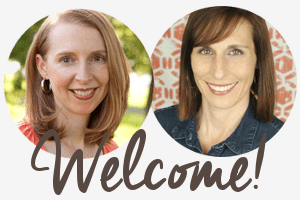 It’s a natural thickener – who knew? I use it again in this month’s column for “vegan osso buco” http://www.saucemagazine.com/section/24. Yup, I learned the tomato trick from a very wise (or experienced) cook. You. In your Osso Buco column for this month. Will be trying that next….all those veggies look amazing. Thanks for the inspiration Kellie! Mmm…I can almost smell and taste the umaminess (is that a word?!) of this dish. I love mushrooms and have been meaning to make a vegetarian bolognese for a while. Adding this to my list! Mmm two of my favorite things, bolognese and mushrooms! I’ve got to give this a try soon while the weather is still chilly! Thanks Lauren. Here’s hoping you get to try this before it hits 60-degrees like it is here now! Dreamy! 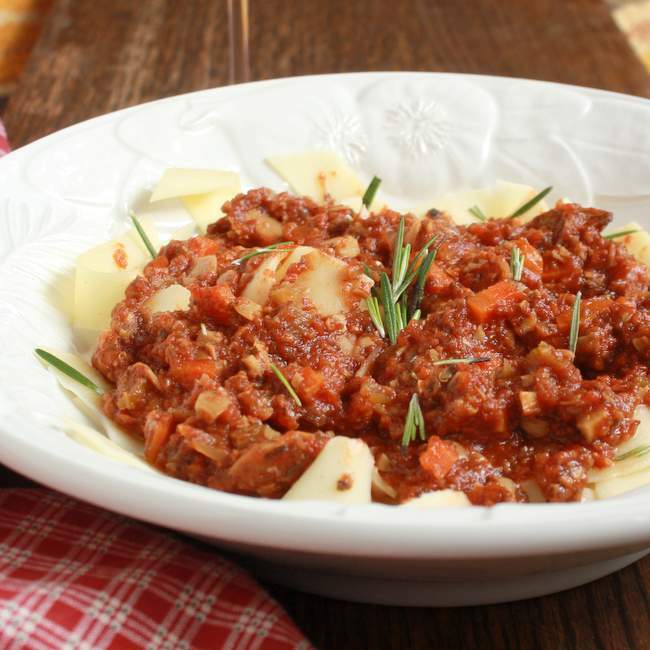 I love bolognese and I love your vegetarian twist on it! Yum! Thanks Sara. Honored by your comment – from a real chef! 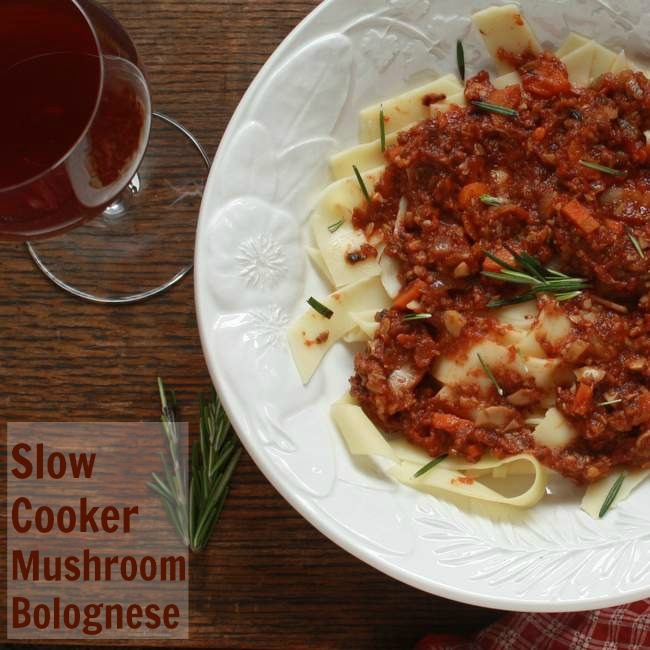 Your Slow Cooker Mushroom Bolognese is just excellent! I’m sure your kids love it! I just can’t wait to make one for my family! Thanks for sharing! Thanks for visiting, David. Enjoy…maybe with home-grown mushrooms?! It’s a favorite here, for sure.